A smart person will not invest more than 60% of their sales. How hard is that? Tracy angry. Gloria Mayfield Banks,she did it,why cant you? Oh yeah,she is an MBA Harvard Grad. And you guys do know that you get back 90% of money invested in all products sent back to the company right?? Take advantage. Please!! Is the 90% buyback guarantee really all it’s cracked up to be? Of course not. (b) To qualify as a repurchase agreement for the purposes of Subsection (a)(2)(B), an agreement must be an enforceable agreement by the seller to repurchase, on written request of the purchaser and not later than the first anniversary of the purchaser’s date of purchase, all unencumbered products that are in an unused, commercially resalable condition at a price not less than 90 percent of the amount actually paid by the purchaser for the products being returned, less any consideration received by the purchaser for purchase of the products being returned. A product that is no longer marketed by the seller is considered resalable if the product is otherwise in an unused, commercially resalable condition and is returned to the seller not later than the first anniversary of the purchaser’s date of purchase, except that the product is not considered resalable if before the purchaser purchased the product it was clearly disclosed to the purchaser that the product was sold as a nonreturnable, discontinued, seasonal, or special promotion item. Consultants may return only products purchased within the last 12 months. Anything older than that cannot be returned. Any free products or prizes receiving from Mary Kay during that 12 months will reduce the amount of your refund. The company policy has been to refund the most recent wholesale price of the product. If you paid more than the current price for the product, you may get a lower price credited to you. Mary Kay sales directors and recruiters are notorious for using misinformation or unethical tactics to stop consultants from returning inventory. This includes lying about the program or otherwise delaying the consultant’s return so that less product can be returned under the “last 12 months” rule. Mary Kay Cosmetics says that if you utilize the product repurchase option, you can never be a MK consultant again. It appears that rule is only selectively enforced, but it seems to convince many consultants that they shouldn’t use the option. They don’t want to be prohibited from trying Mary Kay again in the future. Mary Kay’s culture encourages not doing anything to “hurt” your recruiter or sales director. Since the recruiter and sales director will have to pay back the commission received from any products you ordered, some consultants are reluctant to return their inventory and “cause” the recruiter and sales director to incur a commission chargeback. 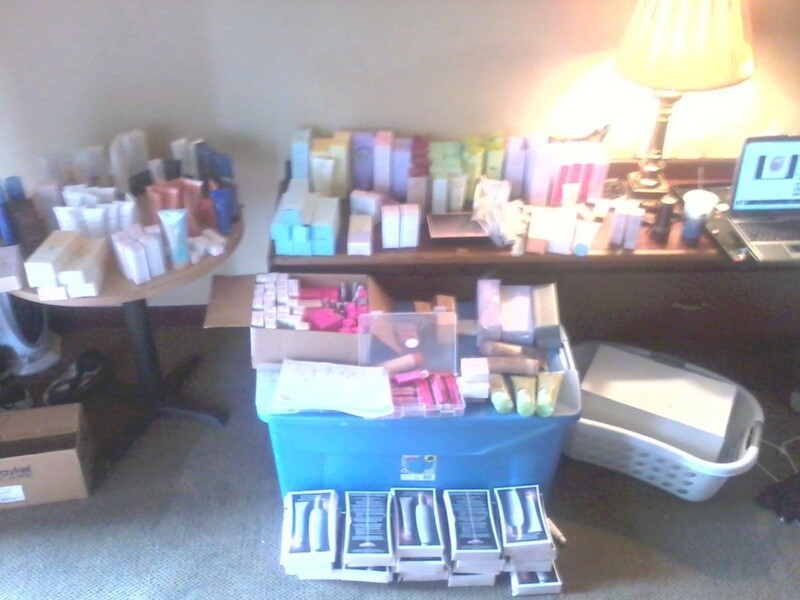 Mary Kay Inc. often touts the product repurchase option as a great thing. It means consultants can give MK a try and get most of their money back if they don’t want to continue. In defending the business model following a negative article in Harper’s magazine, Mary Kay repeated this talking point. Don’t believe the hype. Yes, you can get some of your money back if you join Mary Kay and decide it’s not for you. But it’s not the “no risk” option many recruiters make it out to be. You won’t recover any money you spent on demonstrator products, supplies, meeting expenses, shipping costs, or all those other out of pocket expenses other than the inventory. Ask yourself if you can afford to lose several hundred or several thousand dollars before you sign up. The fact that Directors etc are penalized for product returns is horrible. (Rather than the company that hasn’t evolved in decades). No where is the company itself executive (Mostly males), heirs etc. take ownership of the flaws within this failed mlm scheme. They tout the 90% buy back but few directors help the IBC return anything till it’s too late. Some of the products I returned were not covered, so they sent me back someone else’s older products with her labels still on as supposed replacements. Nothing is free: not training, not the cars, not conferences, etc. No where is this company advertised in reliable places. I have never seen MK in any glamor magazine, television commercial etc. What a joke that would be to see those ancient home parties with that atrocious makeup application by an untrained consultant faking the whole thing in a modern day commercial or even infomercial. Why advertise when consultants are maxing out credit cards on this unsellable product? Yuk. Well, I actually agree with the policy of taking back commissions when products are returned. It should theoretically stop people from overloading consultants with products they can’t sell. And real sales jobs do the same thing: if you earn a commission and a customer returns a product, that commission is usually reversed as well. It keeps everyone honest and ensures that the company isn’t paying commissions on products that aren’t really sold to anyone. Directors aren’t being penalized for product returns. They do have to repay commissions they received on products they shouldn’t have persuaded someone to buy. But they simply break even on that. The person who gets penalized is the consultant who pays the shipping, both ways, and eats the 10% buy-back penalty. The Director’s problem is that MK is too greedy to tell Directors that they need to set money aside for future returns, the way any real business owner does. Can’t have you thinking about that. It would be “negative.” Instead, if you have any cash left at all, MK wants you attending events, topping off “production,” recruiting ghosts, or making co-pays if you refuse to hand them your commission check any other way. Herbalife stock shot up today on an announcement that they were attempting to take the company private…….a tactic MK used many years back to avoid full disclosure. Seems all very fishy to me. Tracy…yes technically it should make directors think twice before overloading products on consultants. However, MK Corp created a lot of this problem to begin with. The mostly male hierarchy think nothing of constantly changing products at the expense of directors and consultants. The constant changes in products and a corporation that looked the other way to shady NSD’s and Directors were two of the many reasons I quit. Also this greedy corporation really does nothing to advertise their 2nd rate products. (Not even infomercials). So yes charge backs to greedy, unscrupulous directors helps in the slow demise of this mlm. The company’s wiggle room in the 90% buy back policy shows that from the very beginning, the consultant, Director and even some NSD’s were often irrelevant. What is important is maximizing profit in every way possible. The mostly female sales force pay for returning products, mail outs, web sites, gas, training etc. while the indifferent company dictates most aspects of this phony business. I know you blame both the Directors and the flawed mlm pink scheme where 99% fail. Actually, most of the product marketing, R & D, and sales development staff are female, not male. Very valid points otherwise! Texas law is actually more lenient in some ways than the MK contract. The MK contract allows you to return all Section 1 products for 90% of the price you paid, including special order and holiday junk. The problem is that MK ignores their own contract unless the consultant demands her rights with receipts. MK makes things even worse by taking order information down from InTouch in about 3 months. Can’t demand your rights if you don’t have your receipt. But MK has all the receipts; that’s how they know how much you bought when they’re trying to cheat you out of your refund. You could always pretend your customers didn’t like the makeup and use the 100% guarantee? Or pretend a friend purchase a bulk of it and her use some and her say she doesn’t like it? The consultant doesn’t get cash back if a customer returns product; they get replacement product. And only if you’re an active consultant, which means ordering $225 wholesale in 3 months. Um what about 100% guarantee? what if the consultant doesn’t want the replacement bc she can’t sell them? MK needs to go down. Vultures. I’ve never been in an MLM or maybe I’d feel differently, but there’s no way I would return something if I knew that someone would have their commission taken away. I didn’t realize that’s how it worked in other stores either. I’ll be mindful of that in the future. I can see lots of women not sending back MK products just to not hurt the director. I bet MK uses that. If you found out you’d been sold a defective or dangerous or badly overpriced appliance, would you keep it just because the person who convinced you to buy it was paid a commission? An MLM up line gets paid commissions for convincing you to spend lots and lots of money on products you don’t need and can’t sell. They do this by telling you that you DO need lots of products on hand, and that people everywhere are eagerly waiting to buy. In other words they’re lying to you. Now they may sincerely believe the lies, and tell themselves, you and everyone else that you can do it if you just try hard enough. But that doesn’t make any of the claims true. I have absolutely NO problem with the sales rep losing a commission if the product was sold to me under false pretenses. Do you all think MK sells the old/sent back products on ebay? I don’t believe they are destroying the makeup. They’re probably destroying some of it, but I took a Google maps tour of Mary Kay headquarters one day and saw no evidence of a disposal facility. We know the resell some of it to other consultants, because people have reported receiving products with other consultants’ stickers on them. Some of it is probably shipped overseas to be sold in other countries. Yes, as a former Director I can say they do destroy them. I’ve been in the manufacturing plant more than once, and it is dealt with in a safe, hygienic way. You can see all the items you have purchased past 3 months….maybe it didn’t used to be that way, but it is now. You also don’t have to send product in to get a replacement. You fill out a thing online, they ship you replacements of your choice for free immediately. Yes they destroy the returned products. No they don’t ship the stuff to other countries. If a customer wants to her money back and the consultant isn’t active, Mary kay gives it to her. Do you know how they calculate what you will owe back on prizes such as jewelry and star consistency prizes? No … but if your director said you will lose sooooo much money when they deduct that stuff that’s it’s not worth returning product … don’t believe her. Send it back. MK tracks prizes given to us and can be found on our annual commission statement on InTouch. They subtracted the value of the prizes I earned from the year’s worth of inventory I returned.